This morning, as I was fumbling through the dryer in search of my son’s favorite pair of jeans for him to wear to school, I discovered something completely enlightening about boys. Boys are NOT girls! Hold on now just a second. Before you roll your eyes and click on the next article to look over while you have your morning coffee you might want to read a little further- especially if you have boys of your own. That pair of jeans I was looking for? Well I found them, and boy oh boy do they have their own story to tell. See, my son’s favorite pair of jeans are not a brand new pair from the most popular store at the mall, and they are not equipped with fancy buttons or designs. These jeans are nothing special to anyone but my son, and they are nearly a year old. They have a few worn places on the backside where my son’s bicycle seat hits, a couple of tears in the knees from crawling around in the yard with the dog, some paint splatters from when we touched up the house last fall, and of course- lots of pockets. To be honest, the pockets in these jeans are really what got me thinking about how different boys are from girls. As I reached my hand into the front pocket of these jeans this morning in an attempt to straighten them out- like any mother with OCD would do, my fingers touched something squishy. Instead of screaming in surprise, or trying not to gag like some of my first-time mom friends would have done, however, my heart broke. I knew instantly that I had found my son’s missing pet worms. I knew how saddened he would be if he knew what I found, so I quickly shoved the jeans back into the dryer and grabbed a substitute pair, mumbling a lame excuse about how those were still damp. Shortly after my son had gone to school I found myself sitting at my kitchen table sipping my coffee and wondering how I was ever going to replace those slimy worms! It was right then and there that I realized that boys are so much different than girls when it comes to what is important to them. They don’t obsess over sparkles and shine, but instead they cherish memorable things- like friendly worms and well worn jeans. Now please don’t misunderstand- I am definitely not suggesting that you rush right out and buy your son a cup full of worms for Christmas, or that you spend hours in the garden trying to dig up a few yourself. What I AM suggesting, however, is that you take a few extra moments this year to spend some quality time with the boys in your life. Really get to know them. Doing so will make shopping for boys Christmas gifts so much easier for you, and opening gifts much more pleasurable for them. 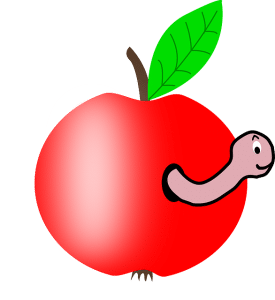 Of course, when it comes to boys Christmas gifts, you could still very well find yourself purchasing something new and sparkly with all the newest features; or who knows, maybe you’ll simply invest in some worms. 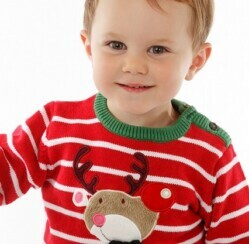 What are your favorite ideas for memorable boys Christmas gifts? We love it when you share your ideas.